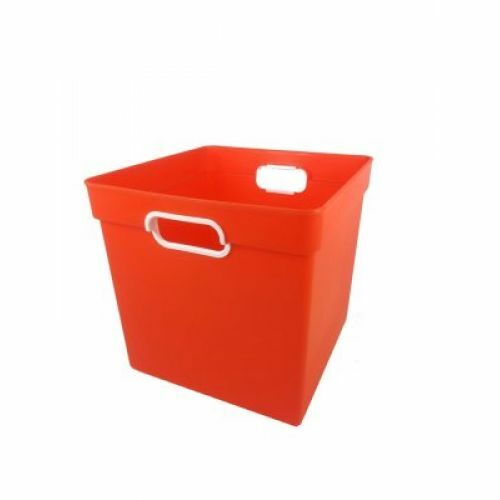 Our new Cube Bin, is large enough to fit over sized books and toys, and tons of blocks and smaller play items. Featuring solid sides and a sturdy construction, this new item is sure to satisfy your storage needs! (LxWxH): 11.5 x 11 x 10.5in.